ANGUISH is the feature directorial debut for Sonny Mallhi, previously a writer and producer for films such as The Strangers and The Roommate. A supernatural indie film it tells the story of a mentally ill teen called Tess, played with spellbinding perfection by 15 year old Ryan Simpkins, and her mother moving to a small rural town. A terrible accident befell another family in that small town where a girl around the same age as Tess was hit by a car and killed. Tess finds herself drawn to the girl’s mother and the question becomes, is Tess’ mental illness partly a gift that is allowing the dead girl to possess her body? 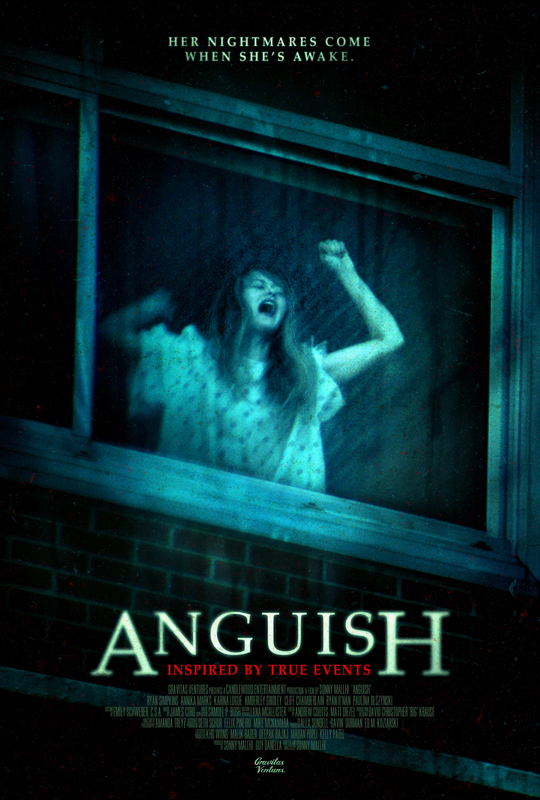 Anguish is absolutely gorgeous with uniform fantastic acting performances and is one of the most thoughtful and sensitive portrayals of mental illness yet seen in genre film. Martin has a short chat with the director about the film, the way he handled the mental illness aspects of the story, and what he got out of exploring these issues and what he learned in making Anguish. This film hit really close to home for Martin in ways you will learn and this beautiful little movie really has appeared out of nowhere right at the end of the year. Want to watch an effective little supernatural tale to come down after seeing that explodey space ship movie? Anguish might be what you’re looking for.